Uh-oh. Is the stock market a bubble again? Will the term "well above" turn out to be Janet Yellen's "irrational exuberance?" The Federal Reserve noted in its most recent monetary policy report earlier this week that valuations for stocks "have increased to a level well above their median of the past three decades." It brings back memories of former Fed chief Alan Greenspan talking about how he thought stocks looked frothy during the tech bubble two decades ago. Greenspan made the "irrational exuberance" comment in December 1996 -- more than three years before the market went into a tailspin. Some argue that Fed policies under Greenspan helped inflate the bubble in the first place. And once again, there are Fed critics who think that Yellen (and her predecessor Ben Bernanke) should look in the mirror before complaining about bubbly stock prices. "She helped cause it and now she's talking about it? It's like we're in a parallel universe," said David Bechtel, principal at Barrow Funds. It's a valid point. The Fed has raised interest rates only once since Yellen took over as chair. Yellen's hands may be tied though since the market often rallies when she and other prominent Fed members talk about delaying future rate hikes and falls when the Fed suggests that more rate hikes are coming sooner rather than later. "The Fed has painted itself into a corner," Bechtel said. Still, Yellen seems concerned about how well stocks have held up lately. Despite more volatility this year due to growing worries about the health of the global economy, the Dow and S&P 500 are both up more than 2%. Yellen isn't wrong about valuations being higher than normal. The S&P 500 is currently trading at 16.4 times earnings estimates for the next 12 months -- above the 10-year average ratio of 14.3, according to data from FactSet Research. And CNNMoney's Fear & Greed Index, a measure of investor sentiment, is once again flashing signs of Greed. But valuations certainly aren't anywhere near the ridiculous levels of 2000 ... or even 2007. That's why some experts think there are still some bargains to be found in the market -- as long as you pick your spots wisely. Christopher Retzler, a portfolio manager with Needham Funds, said that there are good bargains in health care. He believes investors may be too worried about what could happen to the sector if Hillary Clinton beats Donald Trump in November. As a result, health care is one sector that has lagged the broader market. He owns Express Scripts (ESRX), Gilead Sciences (GILD) and Thermo Fisher (TMO). Retzler also thinks that there are some attractive opportunities in tech -- companies that have been overlooked due to the myopic focus on the FANG foursome of Facebook (FB), Amazon (AMZN), Netflix (NFLX) and Google (GOOGL) (Alphabet). He owns Internet infrastructure company Akamai (AKAM), high-end server maker Super Micro Computer (SMCI) and two relatively recent tech IPOs that have underperformed -- Pure Storage (PSTG) and Nimble Storage (NMBL). Retzler also owns one mega tech firm -- the most mega of all: Apple (AAPL). Bechtel said there are still some good values in the market as well, particularly in consumer stocks as well as energy -- despite the big rally in oil stocks this year due to hopes the recent rise in oil prices will stick and demand for oil will increase. He likes WD-40 (WDFC) on the consumer side and energy company Western Refining (WNR). They could hold up well even if there is another pullback in the broader market. 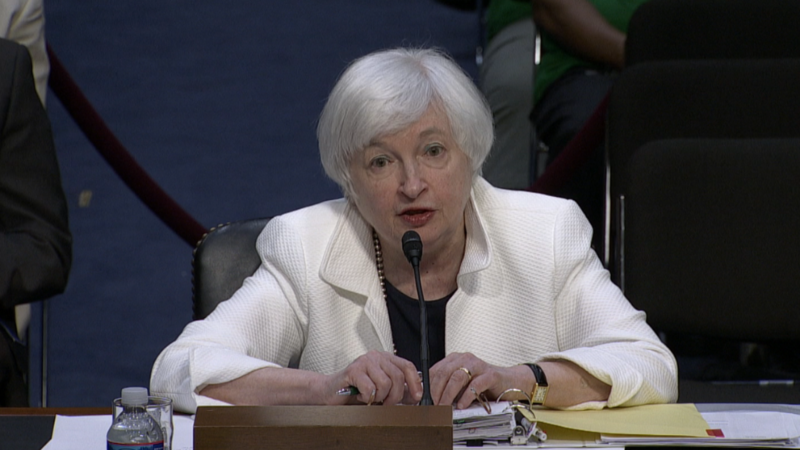 But at the end of the day, Yellen's concerns about market valuations are legitimate. It does make sense for investors to be more cautious when thinking about places to put their money. Fortunately though, this bull market is arguably the most hated rally of all time. Skeptics have been bearish on stocks pretty consistently for the past few years -- and we've yet to have a big crash. Just two minor corrections, pullbacks of 10%. Retzler isn't too worried that investors are overly bullish. "Well above" isn't as much of an indictment of the stock market as "irrational exuberance" after all. "This has been a cyclically slow growth economy for awhile," Retzler said. "We've had seven years of a sluggish economic recovery. So I don't see another catastrophe looming."